I'd heard about this from a friend a while ago, and just stumbled upon it by accident the other day, wandering around South London. Strange place. There was a prostitutes and paupers unconsecrated cemetery here from at least the C16th to 1853. Closed due to being 'completely overcharged with dead'. 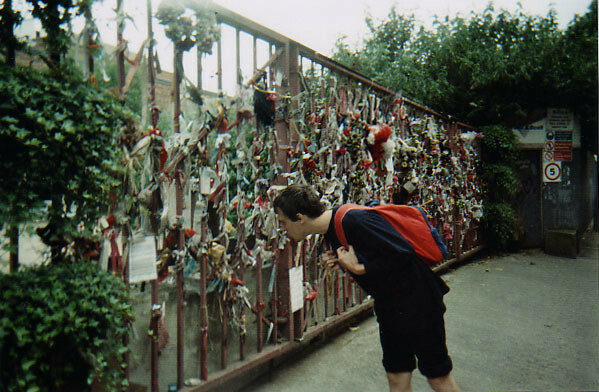 Now there's nothing to see, except these gates which have been turned into a memorial. 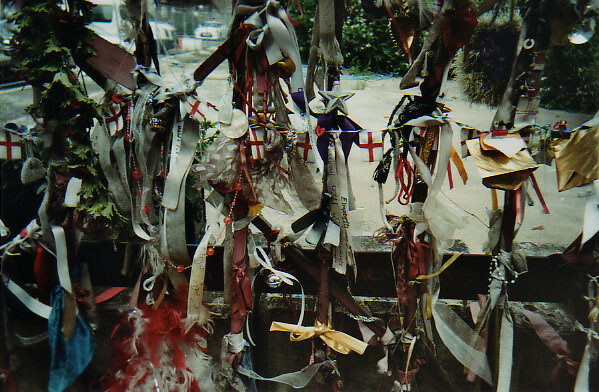 Strange little messages written on ribbons & tied to it.